Heeft u een vraag voor Apple 1 Hotel Superior? Gelegen in Bayan Lepas is Apple 1 Hotel Superior de perfecte keuze voor reizigers die Penang en omgeving willen bekijken. Gelegen op 10.5 km van het hart van de stad, bevindt dit 2-sterren hotel zich op een excellente locatie met de grootste attracties binnen handbereik. Dit moderne hotel ligt in de nabijheid van populaire stadsattracties zoals Queensbay Mall, Maleisië Psychologie Centrum, Pulau Jerejak Ferry Terminal. Bij het Apple 1 Hotel Superior staan de excellente dienstverlening en superieure faciliteiten garant voor een onvergetelijk verblijf. De topfaciliteiten van het hotel omvatten 24-uur roomservice, gratis wi-fi in alle kamers, 24-uur beveiliging, dagelijkse schoonmaak, cadeau-/souvenirwinkel. Alle accommodaties beschikken over doordachte voorzieningen om een ongeëvenaard gevoel van comfort te garanderen. U kunt de hele dag genieten van de ontspannen sfeer van de massage. 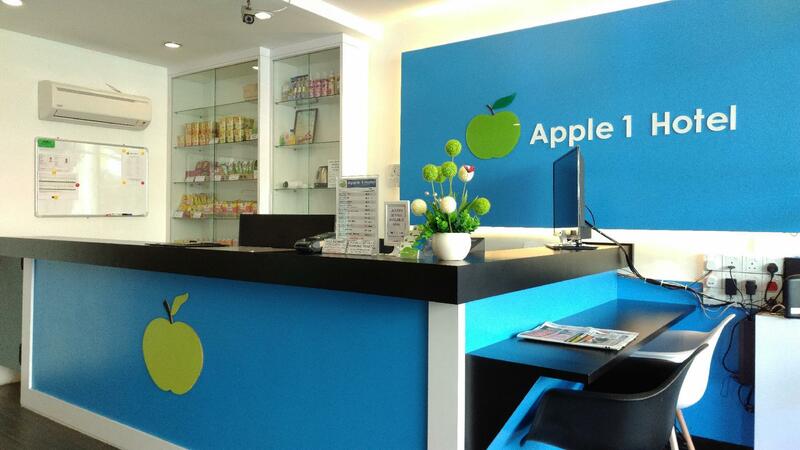 Wat de reden van uw bezoek aan Penang ook is, het Apple 1 Hotel Superior is de perfecte keuze voor een enerverende vakantie. The hotel was just across the street to Queensbay Mall. Hotel staffs were friendly and helpful. It’s easy to find good places for meals around. Room was clean and comfortable. Very lousy parking services. No clear instruction regarding payment for parking facilities. The parking attendants were very rude (both man and woman). I stayed for 2 nights. Reception counter staff told me RM 5 payment valid for 24 hours but the car park attendant asked for RM 5 payment every time I exit. They were very rude when I told her what the reception staff told me about the payment. Besides, room facilities were run down. To the reception counter staff, explain clearly to guests regardingpayment for your parking facilities. Ideally, put up notice in writing. Sorry, no more stay in this hotel. Big big disappointment. My room stinks as if there's linkage of toilet. I was given a room with faulty access as I have to call the receptionist every time I enter the room. WiFi ok. Room location is terrible as you have to walk up stairs. The lobby and my room is located in different block too. To make matter worse, there's only one functioning iron post and you have to bring your access card to use the iron (and then have to go to another building to call for helper because my access card cannot be used to open the door). Sigh. Strategic and everything was good,I will highly recommend to others! Parking cost is reasonable at RM 5.00 for 1 day with multiple entry. Do not feel secure for single lady as the entrance door (front and back) to the hotel can be accessed by anyone because it do not blocked by the hotel room card, except the room only. Most of the time no counter staff is on duty at the hotel (2nd row of shoplots). Untrained counter and house keeping staffs. Room had a musky smell. On level 3 walk stairs. Reception unfriendly. Didn't follow instruction n accuse never hand key card wen neva look properly. Have to handover key card by a certain time in hsekeeping needed. Not much privacy can hear next room! Even can hear corridor! Room was right in front of the stair . So much hassle arranging and in the end even called establishment but Not meet with pre-advance arrangements, waste of time!!. Nothing like the picture. 100% not recommended. Only good thing near queensbay mall. Just a stone's throw away. Apart from it being conveniently opposite queensbay mall (I'm working there for 3 days) everything else I hated. The staff wasn't helpful at all. I carried 2 big suitcases to the higher floors myself, wanted to buy Unchilled mineral water, but they said it wasn't available. Even though there were boxes of it just lying across the walkway. (There is no 7-11 along the row.) I can hear my next room neighbor's phone vibrating (that's how thin the walls were). They give U 2 towels when you check in, over the reception counter. So U take ur luggage, balance the towels and carry on baggage, to the room by yourself. If it's not for location, I will never ever stay here again. Near Queensbay Mall, fast wifi. The biggest thing the hotel has is it's location, near Queensbay Mall. Decent choices for food and entertainment there. 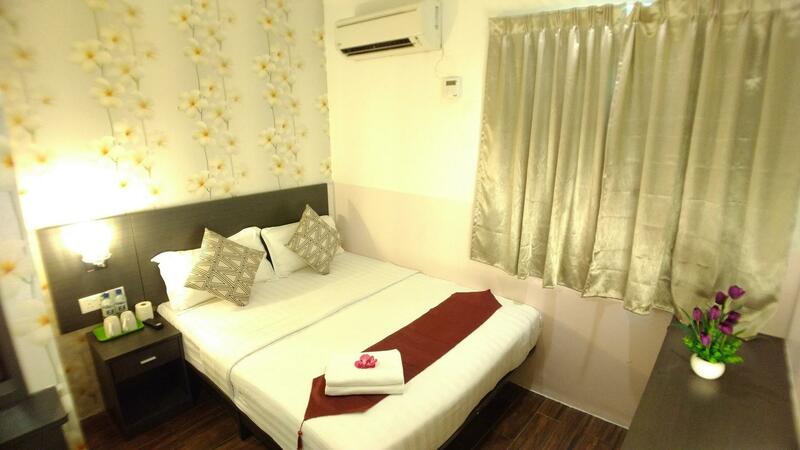 Rooms are quite standard although housekeeping and maintenance need to do more. The wifi is as fast as the check-in/check-out is slow. Near Queensbay Mall, fast wifi, hot showers. It was quite perfect, the staff were very nice, service was very good, the rooms were comfy and it being located just next to Queensbay made it very strategic. The only negative point was the towels provided. It was kinda unwashed and used. It had a stale smell. It was fortunate I brought my own. other than that it was perfect. Pro -near to queens bay mall. Cons -Parking inconvenient as count by hourly.Inconvenient if u want to in and out from the area. -The rmote control spoilt and no replacement. -Air con not well maintain got told n not cold enough -Don't take the room with windows as the room is superb not as the windows is facing west.No extra key given so it take time to cool down the room. The room I get is not same with the photos shown that provided. The walls with hand prints on and I ask to clean staff says can't be some of the customer hand is dirty ..The toilet was shocking,is so small is not even 1 meter wide..if I'm abit more larger I don't think I can use the toilet already.is smaller den a public toilet compartment.super small toilet I had ever seen.only good is the mall is just next door. The door was crack and the toilet door is malfunction is spoilt.already feed back to staff they say dun worry the door must open with access card.the hall way is big but the room is tiny not same with photo.